Enid Schantz-Hagelberg is seen during one of her many running competitions. When meeting someone who enjoys to run, it’s only natural to assume this person has had this passion throughout their lives. Running can take a toll on the body, and years of conditioning and strength training are sometimes necessary for certain individuals, while others seem to pick it up more easily. Enid Schantz-Hagelberg found the sport later in life, around the age of 41. In fact, it was the onset of running that led her to a crucial health discovery. Hagelberg said she was slow during the marathon and that it took her almost five hours to complete. Her newfound friend ran with her every step of the way. It would take Hagelberg longer than others when it came completing races, but she loved the endorphins the sport gave her and kept at it. It was during a standard checkup that her life changed forever. Years later, after a transfer from Kansas to Maryland, Hagelberg was diagnosed with celiac disease, a malabsorption disease that makes bodies sensitive to gluten. Pre-existing conditions such as anemia are symptoms of the disease. Hagelberg said with necessary diet changes she felt better immediately. 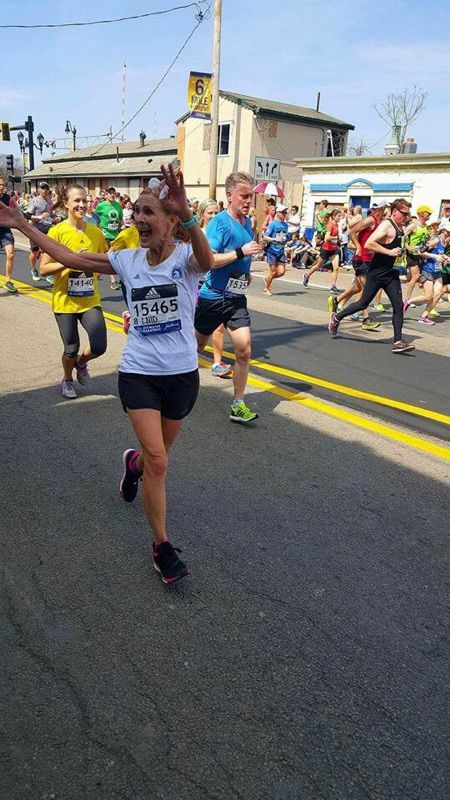 That May, she ran her fifth marathon and shocked her family with her running time. Her body had adjusted to her new lifestyle and she became a faster runner. By October, Hagelberg had qualified to run the Boston Marathon in April, which she has participated in four times. She said that run was her “holy grail” because she never thought she’d be capable of running that long and that fast due to her health issues. Hagelberg, now 61 years old, said her fastest running years were when she was 56 and 57. Hagelberg said that running has led her to make countless friendships and despite being diagnosed with osteoporosis recently, she intends on running for as long as she can. An upcoming run in New Hampshire will mark her 20th state she’s run and her 40th race finish.